An interviewer recently asked Lawrence Weiner whether he was aware of the impact his work has had on British design over the past six years or so. What was striking about this question is not so much that it should be asked of someone who has spent much of the past 30 years working as an artist and living in another continent, but that it was the first time anyone had asked Weiner directly. Those who have followed the progress of graphic design from the late 1980s will be aware of the influence his work has had. Most of the younger generation of designers came to know Weiner’s work via his influence – by first seeing his style translated through the work of others. His books such as Displacement and From Point to Point have been something of a treasured secret among a section of the graphic design community. Within the past decade his typography has been ‘reappropriated’ on record sleeves, across exhibitions and in brochures, as a visual shorthand for clean, intellectualised and distinctly contemporary design. Weiner started to work as a sculptor in the 1960s, after studying philosophy at Stuyvesant High School. He always refers to himself as a sensualist, someone who takes pleasure in the physical aspect of material objects. Although today the work appears almost exclusively in the form of language, Weiner still regularly carries out the process of physical construction of objects within the studio before the final translation of a piece into textual form. Much of his work in the early 1960s was concerned with removal, taking away rather than adding. He reminds us that this is the method employed in sculpture – literal removal of material to form a finished piece. The next step was a logical one – the removal of the physical element of the sculpture to form art from language itself. On initial reading of the texts, the work exists as a metaphorical experience based around our personal relationship to the objects. There is also the implication of the unseen, the initial starting point of construction with materials which Weiner has made in the studio and kept locked away from our view. The period when he first began to use text in his work was at the point when artists, in America especially, began to question the nature of art and in particular the nature of the two disciplines which formed the basis of contemporary art practice – painting and sculpture. Weiner points to work of contemporaries such as Dan Flavin and Carl Andre, noting that once we accept that strip lighting can be painting, or a pile of bricks sculpture, then it is also conceptually possible for us to accept language as just another medium which can be used as a material for sculpture. Whereas Weiner’s contemporaries such as Ed Ruscha chose to use language in a cinematic way, Weiner’s use of words is distanced and analytical, diverting viewers from the surface of the work, forcing them deeper into the piece. This is further implied by the way his statements are presented in an unemotional, non-designed approach. Weiner’s pursuit of neutrality is something that also affected his choice of typeface. When developing his framework he looked for typefaces that carry little cultural baggage thus allowing the clarity of message. He chose typefaces such as Franklin Gothic Condensed and a vernacular stencil type. When questioned about his choice of typefaces and specifically Franklin, Weiner says: ‘I honestly and truly would love to say that I stood there and figured it out, but it was a long time ago.’ Weiner is disinclined to post-rationalise the development of his typography, stating that one of his few criteria was to avoid using Helvetica, a typeface he associates with the excesses of late Modernism and bourgeois middle-class culture. His personal experience of graphic design begins with El Lissitzsky and agit-prop, and continues through Piet Zwart, designers he associated with translating the ideals of great cultural movements without becoming ‘fashion victims’. Perversely, Weiner’s choice of Franklin Gothic Condensed has become something of a stylistic stigma, and the use of this typeface within the neutral ground of a white page or a wall has become instantly recognisable. He is aware of the way that style imposes itself even within the context of those who react against an ideology – in his case the framework of Modernism and particularly the stagnant International Style. His initial approach to textual work came in the form of chalking his art on to walls in friends’ neighbourhoods, a method he returned to in 1989 at the ‘Conceptual Art’ exhibition at Arc, Paris as a direct reaction to this. ‘It was just to say that Franklin Gothic did not represent me, it is just that I preferred to be represented by it.’ Not wanting to be locked into a particular visual style has lead Weiner to cut his own typefaces, notably Margaret Seaworthy Gothic, and he regularly adapts fonts to his own needs. This takes the form of creating stencils from existing typefaces to use on outdoor projects where the work is cut from materials rather than applied directly to walls. For the ‘artranspennine98’ exhibition Weiner used Dockland, a stencil font which he chose to adapt – altering the ‘W’ and ‘M’ for personal aesthetic reasons. The adaptation or creation of fonts also allows him to step away from the associations of pre-cut typefaces. Although Weiner’s art is often seen as being site specific, he is keen to stress the adaptability of his work, both physically and intellectually, though observers frequently read more into the work. ‘Eighty per cent of my art can be adapted as a self-portrait or a denunciation of industrialised society,’ he notes. When Weiner was asked to contribute to the 1982 ‘Documenta 7’ exhibition in Kassel, the piece Many coloured objects placed side by side to form a row of many coloured objects was read by many as a direct critique of the exhibition and the transcient nature of art. This effect was further heightened when the text was wrapped around the cover of the exhibition catalogue. The piece began life in 1979, and has been exhibited at several locations both in America and Europe. At present it is in a private collection in Ghent. It is difficult to separate Weiner’s art from its location, despite the endless adaptability offered by the format his art takes. The very act of putting type on a wall or an architrave outside a museum has the effect of making a statement about the nature of the placement of that particular statement. The words, combined with the contexts and the ways in which they are presented, naturally acquire an aspect of political statement or social commentary, which distances them from the realm of pure thought. Oddly enough, Weiner’s work is often most successful when typography becomes part of the surrounding environment, used as conscious facsimilies of graffito or in public work such as Placed upon the water underneath the stars. Taken from the water & carried to the stars. In this permanent installation in Chagny, France, Weiner’s words are stencil-cut from steel and mounted upon a block of concrete. The text is in direct contrast to the monolith, the intangible weightlessness of stars and fluidity of water countering the sheer mass of the 5m high block. This demonstrates the success of his art, that within the context of placement of words on a surface there is an implied reading of the surface itself. Text can only act in isolation when it exists as thought: even speech as a medium is loaded with nuance and meaning. This is not to detract from Weiner’s work, which by its nature exists as something to be remembered and contemplated in much the same way as Zen poetry. In the installation Displacement, 1991, the link between the graphic representation of information and the concepts they refer to is more than implied. The book of the exhibition is a series of statements, reminiscent in theme and tone to alchemy, yet with the rigour and impersonal approach of a mathematics textbook. Over the past 30 years Weiner has consistently produced posters, an archive of which is held by the Vancouver Art Gallery, and is due to be exhibited in its entirety at the Kunsthalle in Nuremberg later this year. Weiner uses posters as a method for experimenting with his drawing – as a series of personal exercises which allow him to experiment with mark-making and the use of language. Weiner sees his drawing as a way to use language in a non-sculptural form, sometimes choosing to focus on truisms and wordplay. Printed posters act as vehicles for bringing this mark-making to a larger audience and Weiner often produces posters for exhibitions and events when there is no distinct reason to do so. Interestingly he does not see them as an extension of site-specific work, stating: ‘I do not let the content of the poster determine what it is I will draw.’ This factor makes Weiner’s posters at once personal and public. The purpose of a poster commissioned by record company Factory was to advertise a New Order concert, but the marks on paper are a series of Weiner’s self-determined exercises. 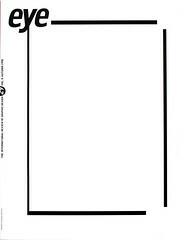 In this, there is a link between the way Peter Saville uses fine art on the Factory covers and the way Weiner uses his own pre-configured drawings as something which may transfer to the medium of the poster merely by appropriateness – not through a process of creating art to meet a specific brief. Weiner says he is interested in the paradigm of design, and in his poster work there emerges a set of icons and signs, visual reductions of existing ideas and objects. This provides a direct correlation between the purely textual art and his graphic poster work. In the My House posters,1985, commisioned by Artangel and Air gallery and fly-posted around London, there are a series of symbols such as a tepee which refer to housing in the basic sense. The accompanying text is a truism, the marks on the poster are a drawing of this, and are not, Weiner insists, anything to do with sculpture. For Weiner, the poster work is ancillary to what an artist does – it exists outside the framework of his work as a sculptor and enables him to learn about drawing both with lines and with words. He is therefore reluctant to design to order, and he will only submit a drawing if he feels it is correct for the end result. THE ARTIST MAY CONSTRUCT THE WORK. THE WORK MAY BE FABRICATED. THE WORK NEED NOT BE BUILT. The assumption that a piece of art can exist as a thought attracted Browning on a conceptual level, ‘Everyone knows that some ideas exist better as just that. His work has none of the built-in limitations of graphic design practice. As designers we strive to make words stand alone and have resonance, and here was someone who did just that.’ Browning approached Weiner to suggest a possible collaboration on a project, and found the artist very responsive to the idea. Unfortunately the client did not share his enthusiasm, failing to understand the implied resonances of Weiner’s pieces, and the project did not evolve as the designer hoped. The business world appears to be slowly catching up with Weiner, since many of his statements can be read as translations of the non-specific straplines that companies are becoming increasingly fond of to describe the intangible nature of new technologies and industries. Yet it is interesting that while other artists who have used type as a political vehicle, such as Barbara Kruger and Jenny Holzer, have found their polemic quickly integrated into advetising, this has not yet happened to Weiner’s work. Serious interest in Weiner has grown in the 1990s as conceptual art from the 1960s is once again in the spotlight, and he and his contemporaries, such as Dan Flavin and Bruce Nauman, have found their early work being cited as an influence by a new generation of artists. This re-appraisal of conceptual art also has its followers among graphic designers. For many, the work of those artists has a special resonance. 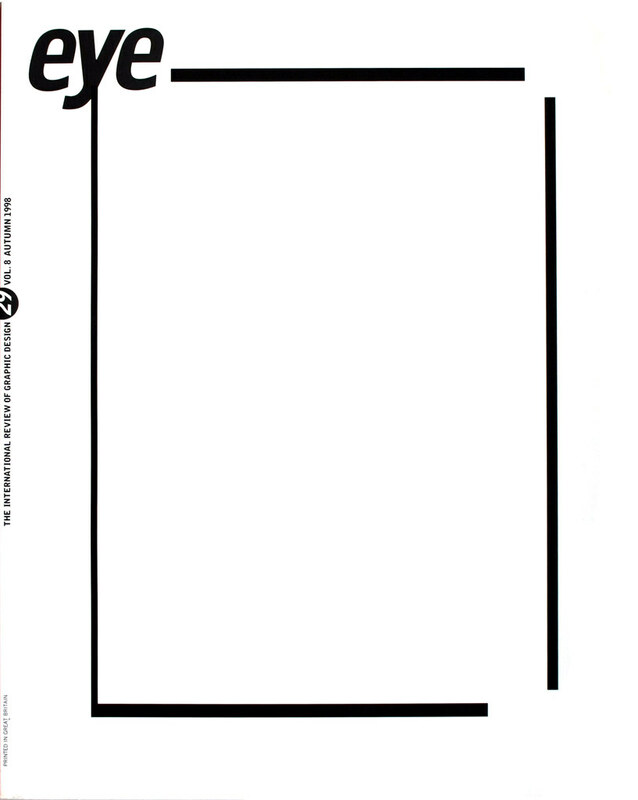 The purity of his ideas, and their often simple visual manifestation, is in direct opposition to much of the graphic design produced in the 1980s. There has been a movie in recent years to reclaim the Modernist visual aesthetic. Many young designers, in reaction to the decorative excesses of the 1980s, seek to produce graphic design that can encompass more than tricksy typography and the fads of fashion: one which can move graphic design forward as an intellectual practice. They have taken the spirit of conceptual art from the insular context of the art gallery and forced it into the public realm at a time when the distinction between practices is rapidly dissolving. Weiner’s use of typography for the deadpan translation of his ideas has secured his appeal to a small but influential cadre of graphic designers. These include North, Cartlidge Levene and Farrow (see Eye no.24 vol.6). Weiner’s working methods and career have sometimes drifted between the two practices, and it is this crossover that we see continued within the design context. Curiously, the elements Weiner chose to distance himself from ‘design’ and fashionability are now the very things that make his work appear so fresh and unusual – and stylistically attractive. Although Weiner sought to avoid Modernism, he finds his work appreciated for that same neutrality and purity. There is never any excess or embellishment in his pieces, they simply are – as in a slice of concrete poetry they are self-propagating, each a discrete and tangible message, relying as much on the viewer’s sensibilities as the artist’s. As Ned Sublette sings in ‘Steel Pennies’, ‘what you got is what you get’.